Naked Calories is THE book to read before beginning any diet in the new year! Did you know that nearly 100% of Americans are deficient in their essential micronutrients? According to Dr. Oz, a recent study of 3 million people revealed that less than 1 percent of the participants got enough essential vitamins from diet alone. Our first defense against disease and poor health is a better diet filled with more health-enhancing micronutrients. Also, according to the USDA adequacy statistics nearly 9 out of 10 Americans are deficient in vitamin E, more than 9 out of 10 are deficient in potassium. The data also states that more than 7 out of 10 are deficient in calcium, and approximately 5 out of 10 are deficient in vitamin A, vitamin C, and magnesium. In fact, of the seventeen essential micronutrients studied by the USDA, all showed a deficiency rate of some kind. Why is this important? What is micronutrient sufficiency? We want our bodies to get the most out of the food we eat. We’re talking about more than calories, grams of fat, or protein vs. carbs. We’re talking about the micronutrients (vitamins, minerals and essential fatty acids) that our body actually needs to keep us healthy and strong. To bemicronutrient sufficient means that our body is able to get and use all the essential vitamins and minerals it needs to function at its best. Experts agree that micronutrient deficiencies, or an inadequate intake of these essential, health sustaining micronutrients, are linked to disease, and that an inexpensive remedying of these same deficiencies would improve health and longevity. Here is just a short list of the incredible health benefits-those above and beyond disease prevention-that are made possible through micronutrient sufficiency. 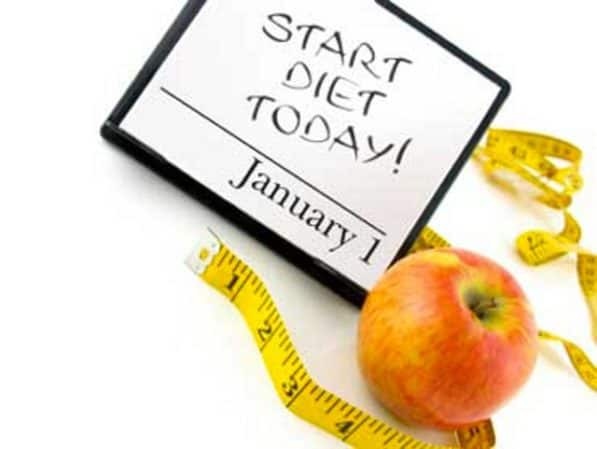 What happens when you make a new years resolution and start a new diet? You do a few things that exacerbate your probable current micronutrient deficiency. First, you eat less. The odds of these smaller meals having all of the essential micronutrients shrinks in proportion to the serving size. People also tend to choose a few meals in a diet program that appeal to them and to eat them repeatedly. When the same foods are eaten daily, we only get the same micronutrients in those foods over and over again. This tends to give the dieter a high level of some micronutrients, but a lack of others. For example, a low fat diet might be low in fat-soluble vitamins such as vitamins A and D, while a low carbohydrate diet might be lacking in certain phytonutrients. To add insult to injury a dieter usual begins some kind of physical fitness program. Exercise is what we call an Everyday Micronutrient Depleter (EMD), or a lifestyle habit that robs the body of micronutrients after we have eaten them and consider them in the body’s “micronutrient piggy bank.” This healthy habit depletes the dieter of the now limited resources being offered by their limited menus and smaller portions. While we are big advocates of exercise, don’t forget to replenish the vitamins and minerals utilized during your workout. So how does the information in Naked Calories help the individual who is going to start a diet in the New Year? Naked Calories helps people understand the importance of micronutrient sufficiency. Diets fail because people have cravings and can simply not sick to their diet plan. We explain in Naked Calories how specific vitamin and mineral deficiencies have been shown to be the cause of both salt and sugar cravings. By becoming micronutrient sufficient before you start your next diet, you’ll be setting yourself up for weight loss success. Also, we offer solid evidence that being micronutrient deficient is a huge indicator of overweight/obesity. In fact, did you know that research shows you have an 80.8% greater chance of being overweight or obese if you are micronutrient deficient? This is great news-this means that becoming micronutrient sufficient would give you an 80.8% greater chance of having a healthy weight. Naked Calories teaches you how to turbo boost any diet. Did you know eating whole foods over processed foods can double the calories your body burns? That’s right, you actually get a calorie burning benefit by choosing micronutrient RICH foods over micronutrient POOR foods. According to a new study out of Pomona College, participants burned nearly twice the number of calories when eating cheese sandwiches made with real cheese on multigrain bread vs. those who ate a processed cheese product on highly processed white bread. Why? Researchers believe the processed food requires less effort to digest than whole, natural foods. Stop studying the calorie intake and start thinking about the micronutrient intake! The bottom line is, its essential micronutrients you body is craving not calories. When you become micronutrient sufficient before you start another weight loss program your are setting yourself up for success! Don’t trade your larger pant size for a larger health problem. Overweight/obesity is not the only health condition linked to micronutrient deficiency. Osteoporosis, cancer, diabetes, Alzheimers and many others have all been proven to be linked to deficiencies in essential vitamins, minerals and fatty acids. We all want to achieve a healthy weight, but dieting incorrectly may also cause greater micronutrient deficiencies that can lead to far more serious health ramifications in the future…including weight re-gain. Our clients have found that weight loss is a natural side effect of a healthy lifestyle. Naked Calories gives you an easy to follow 3-step lifestyle plan that will help you achieve micronutrient sufficiency and will put you on the road to optimal health for the new year!